A nice round for those who prefer to shoot the +P .38 Special out of their firearms for self-defense. 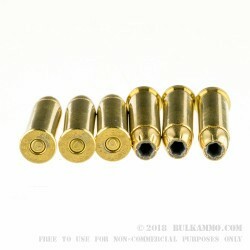 This round offers relatively high velocity (1017 feet per second velocity) and decent power for the .38 Special (287 ft. lbs. of energy); which makes for a nice bit of stopping power out of the reliable .38 Special revolver. 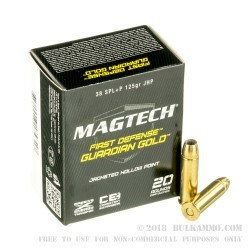 This MagTech Guardian Gold is an excellent round for use in self-defense and the 125 grain projectile is a highly engineered offering from MagTech, which has a very good track record for reliable expansion and high expansion diameters. Note: this is a +P load. +P (“+ Pressure” or Over Pressure round) which is not suitable to be shot out of all firearms. 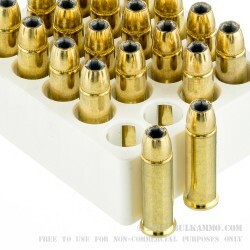 These rounds feature much higher pressures than standard factory loads and can be dangerous when fired out of guns that are not sufficiently able to handle them. Your owner’s manual can help you to determine if your firearm can shoot these loads. They ARE NOT SUITABLE for use in ultra-lightweight revolvers, generally. 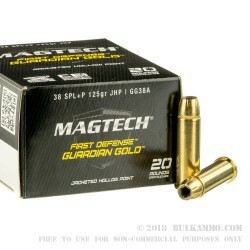 This is a great price as well for a premium load offering from a company that has the kind of reputation that MagTech does.